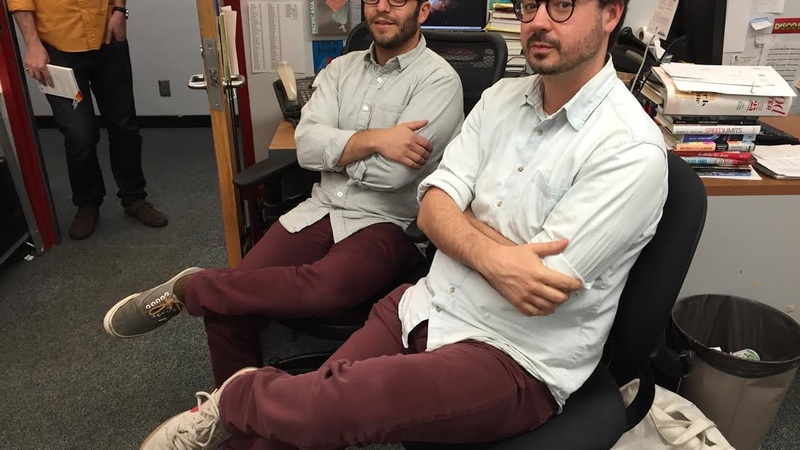 We’ve noticed a strange occurrence here in the basement offices of KCRW. 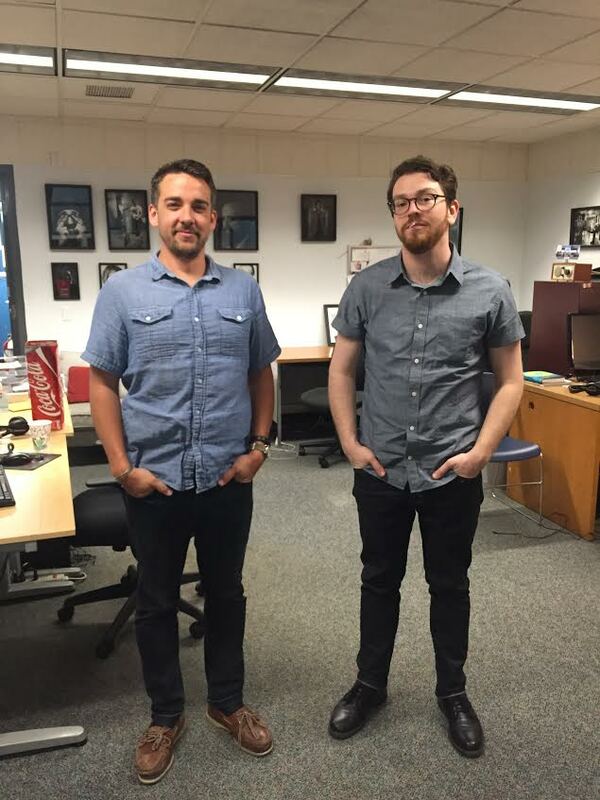 Some of our staffers have had a moment of coincidental twin. 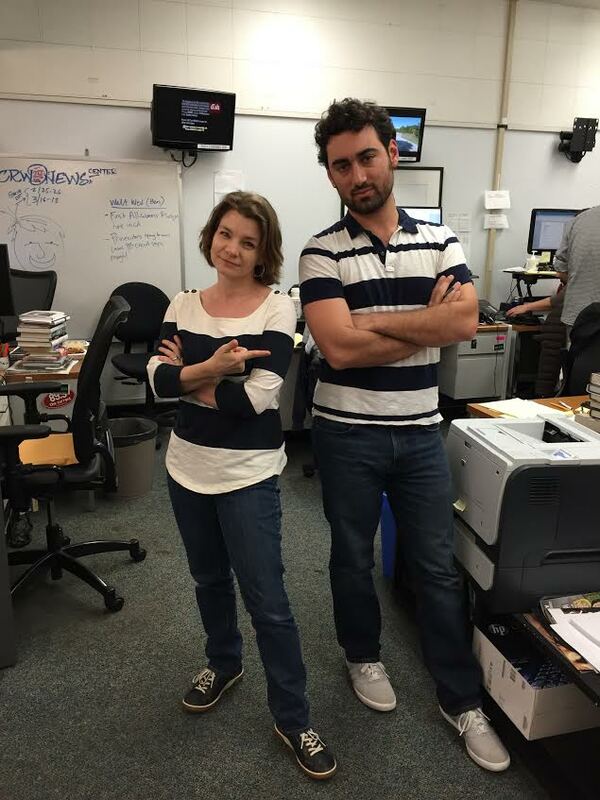 News is serious business. 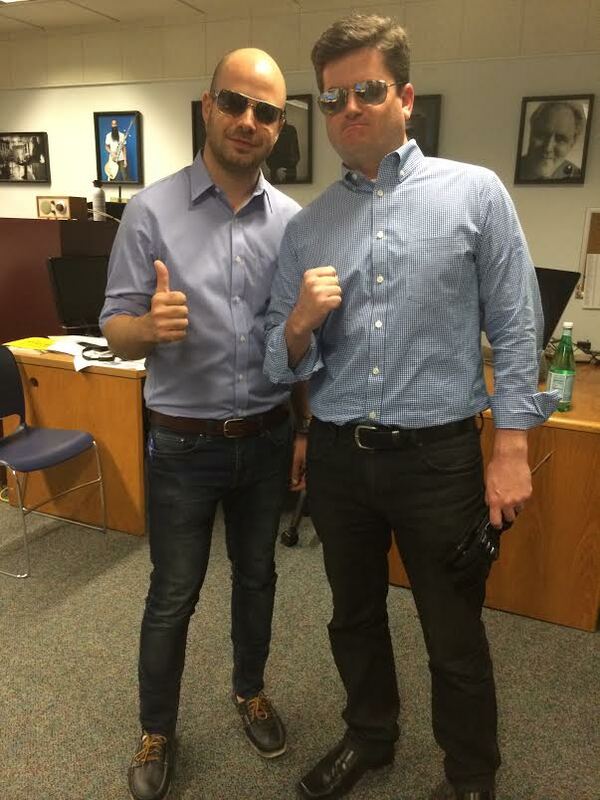 Which is why Avishay Artsy and Evan George are really serious about looking good. Where do you even find those pants?! 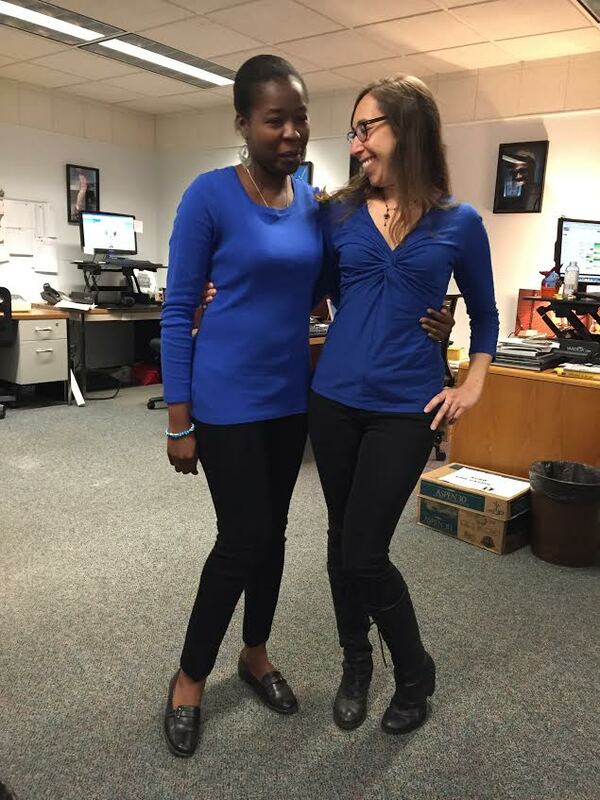 Rachel Reynolds might be the biggest cheerleader of twinning moments, here she is with Nahomi Merlan a SMC Intern. 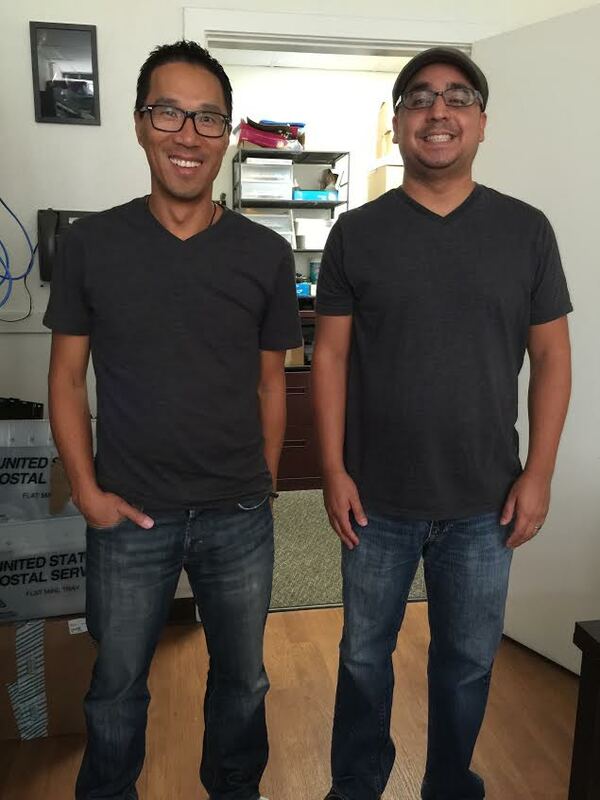 Is this the standard uniform for concert-goer bro dude who works in an office? 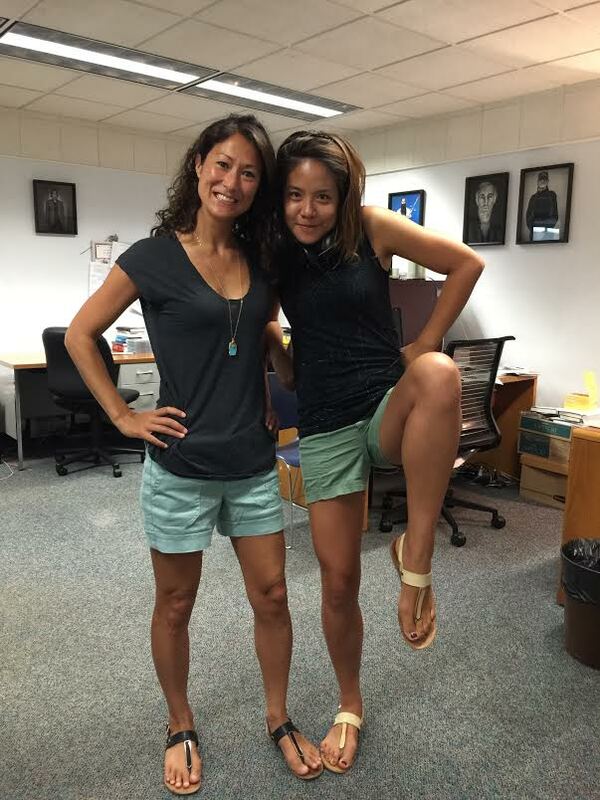 The power outfit in action. Lookin’ boss. That’s it for now but there will definitely be more on the horizon.